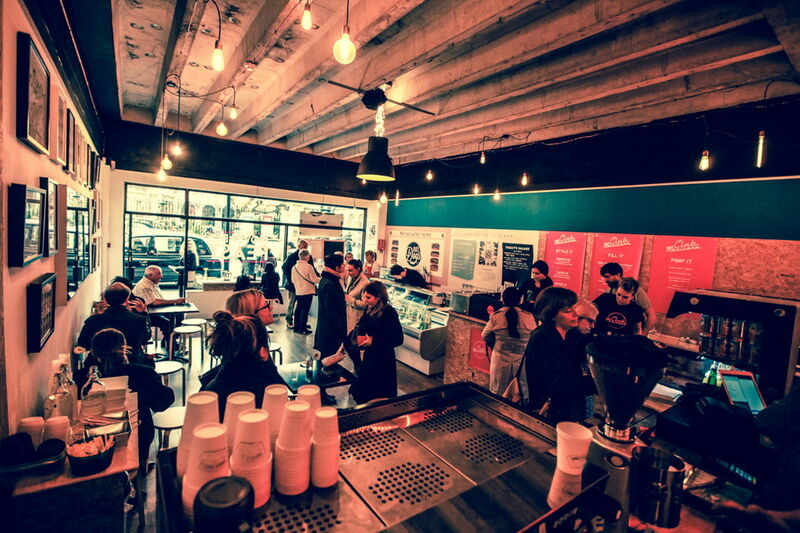 The London coffee shop scene has never been as vibrant as now. With the smell of freshly brewed coffee and pastries straight from the oven, it’s a perfect way to start a day. Imagine starting a day like that every morning! Imagine all these early mornings serving hundreds of cups of cappuccino, latte or mocha. Imagine running your very own coffee shop. Before you quit your job and become an artisan coffee brewer, why not to give a pop-up cafe a try? 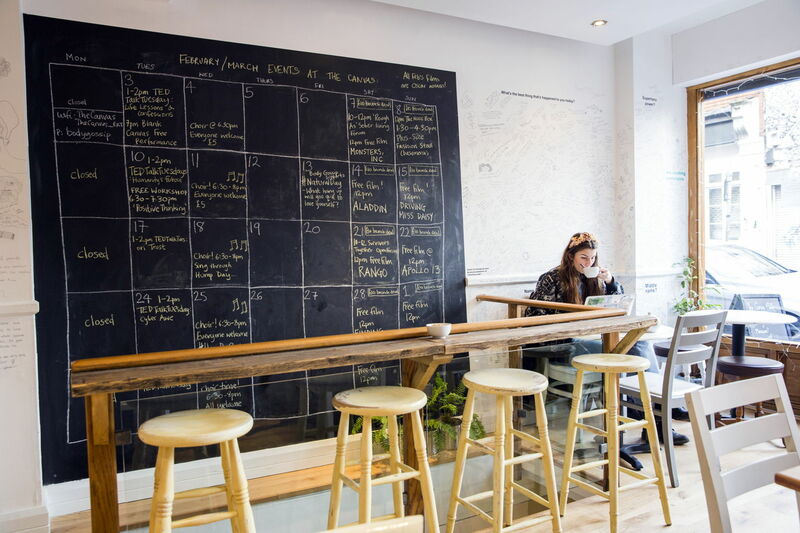 The Canvas Cafe is quirky with stacks of creative personality and tons of space. Set over two floors, with a ground floor cafe/bar area and a basement seating/event space and large kitchen, The Canvas Cafe can turn into anything from a vibrant cocktail bar to an intimate performance space. The venue also has a New York-style outdoor garden which seats around 12 people or 20 standing. 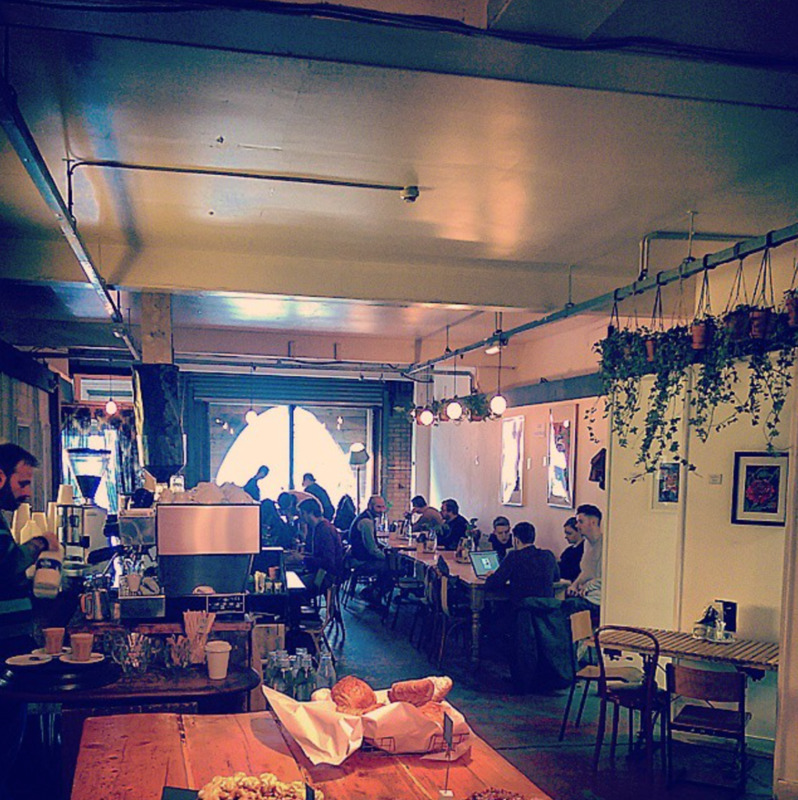 The Russet is located in the midst of Hackney Downs Studios. 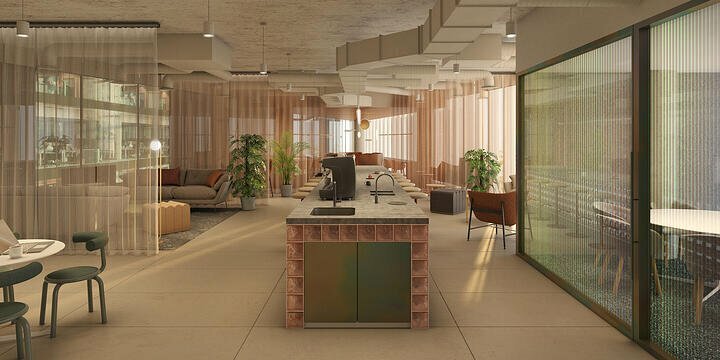 This full of character cafe, with its rustic vibe, is a perfect hub for creativity and collaboration. A cafe during the day and an event venue by night, The Russet is great for markets, pop-up restaurants, pop-up shops, film screenings, exhibitions, workshops and gigs. It also creates the perfect setting and atmosphere for parties and weddings. This is not your typical pop-up. It’s a bit of a hands-off approach but a perfect option for someone who just wants get their feet wet instead of jumping all in. 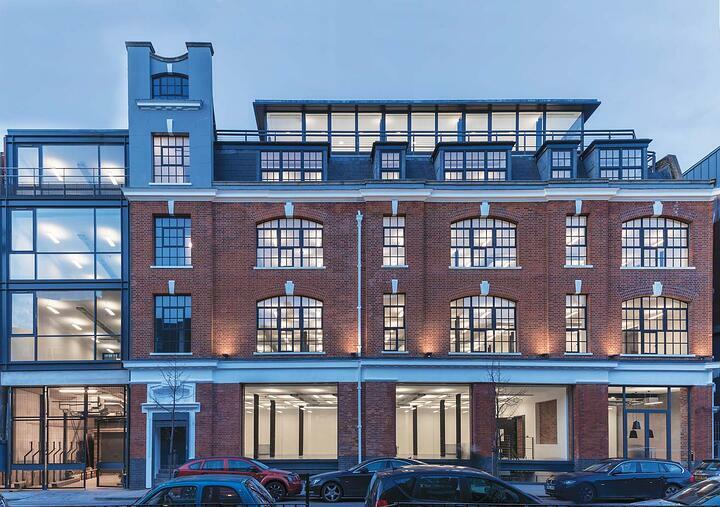 The space is perfectly suited for events like art galleries, photographs exhibition, public talks, bookshop presentations and film shootings. 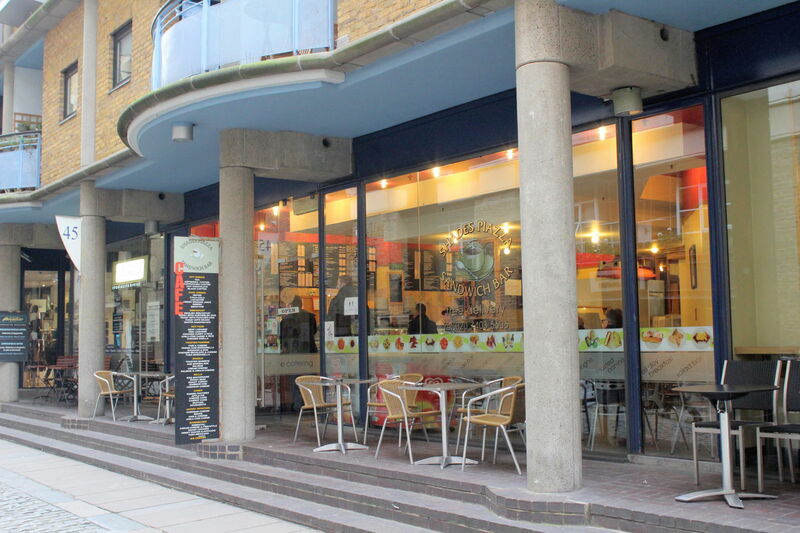 During pop-up events, the cafe will sell their food/drink products only. Fancy a vegetarian pop-up for a weekend? Check out this unique cafe situated on St Thomas Street, in the shadow of The Shard and only a stone's throw away from London Bridge station. The space seats up to 40 people and benefits from an outside area. Plus, the venue has an alcohol license, so no need to worry if you want to serve a glass of something stronger. If you’re up for a slightly bigger challenge than a standard pop-up, Cafe 1 could be your calling. 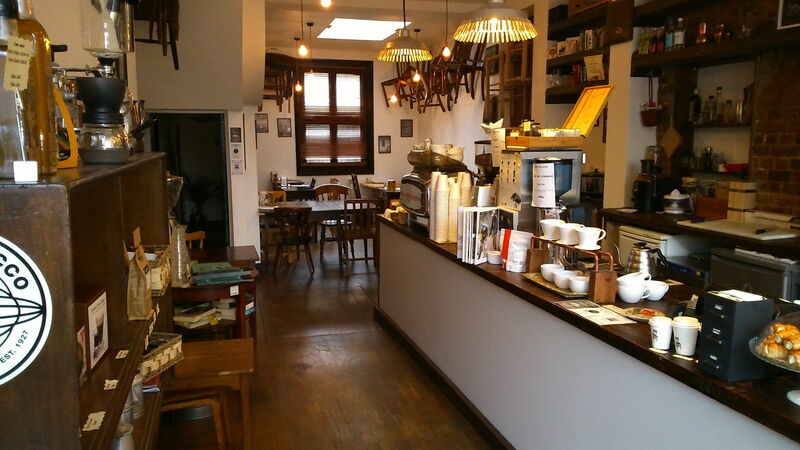 With some love and care, you can create a stunning pop-up cafe in this corner of South London. The neighbouring Tower Bridge has a very high footfall of over 250,000 people a week. The cafe comes unfurnished and available to rent out at a daily rate. Don’t let it get snapped up.